He obtained a bachelor degree in physiotherapy with specialization in musculoskeletal physiotherapy and manual therapy. 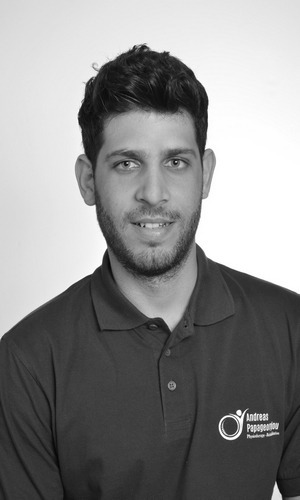 He is a member of the Pancyprian Association of Physiotherapists. He worked in several private physiotherapy centers and now works as a self employed physiotherapist and as a clinical instructor in the University of Nicosia. A highly motivated, confident individual with exceptional organizational skills. He has the ability to work closely with other health care professionals to assess patients’ needs and devise suitable treatment plans for them. Able to communicate effectively with patients to maximize the rehabilitation and to ensure understanding of often complex clinical issues impacting on recovery. Nicoletta Ntorzi is a Clinical Dietician and holds an M.Sc from New York University, USA, in Clinical Nutrition, and a Β.Sc from New York University, in Food and Nutrition / Dietetics. Finishing her studies, she did her internship at St. Vincent Medical Hospital in New York, where she got the title of RD (Registered Dietician) from the Commission on Dietetic Registration in USA. Moreover, Nicoletta has the Certification of training in children and adolescent weight management and the Certification of training in adult weight management from the Commission on Dietetic Registration in USA. Additionally, she holds the title of Certified Dietitian-Nutritionist from the University of the State of New York. 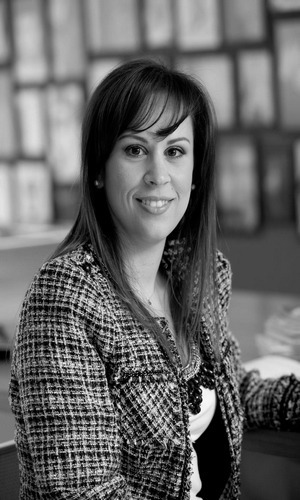 In Cyprus, Nicoletta works as a private clinical dietician since 2006. Furthermore, she is an educator in Nicosia University. She is a research associate in Mednutrition portal, where she writes articles and podcasts. 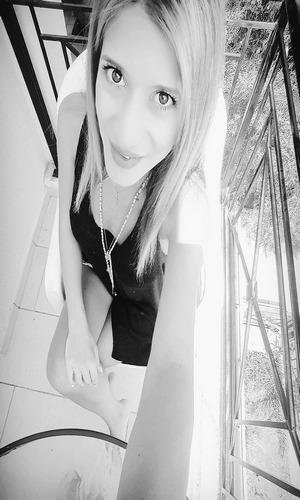 Nicoletta is the writer of the book «Από το ράφι στο καρότσι, Οδηγός διατροφής», where is a guide to help people shop smart and healthy from the supermarket, which was published in March 2012. She is also the co-writer of the book “Nutrichef”, which is a cookbook with nutritional analysis and updated guidelines about nutrition, wellbeing and disease prevention. The “Nutrichef” got the first prize in “Gourmand” awards in its category. Nicoletta performs nutrition speeches in public as well as in international conferences in Cyprus and overseas. Nicoletta is the assistant secretariat of the board of the Cyprus Nutrition and Dietetic Association (since 2013) and an active member of the American Dietetic Association (since 2001). Antigoni is one of our Relaxed Massage and Energy Therapy providers. She owns a diploma on “Basic Massage” and therefore she can provide a relaxed massage for each one of you. Antigoni is also a Reiki Master Diploma (3A) – 3rd degree diploma owner, whereby Reiki is an alternative holistic therapy for body, mind and spirit of the human. It is a safe, simple and natural healing technique that uses the transmission of vital energy in the hands touch. Now practiced and taught around the world with miraculous results. Reiki is a healing system particularly pleasant, relaxing and mind waking: Our gentle touch refreshes and rejuvenates us, renews us and cleanses us from anxiety, insecurity, fear and negativity. It fills us strength and brings us into an inner harmony, comprehension, simplicity and balance. • Reiki helps the individual to discover the power of media for self-medication. • Reiki works on all levels: the physical, the emotional, the mental and the spiritual. • Reiki promotes physical strength and well-being and emotional and mental purity and clarity. • Reiki reduces or eliminates pain. • Reiki cleanses the body of negative energies and removes energy blockages. • Reiki brings detoxify the body. • Reiki enhances all the natural functions of the body. • Reiki opens and cleans the energy channels and energy centers and charging with pure life energy. • Reiki energizes exactly where the needs of each individual. Energy has its own intelligence and is adapted to the needs of each individual. • Reiki helps us to live more consciously in everyday life and to experience positivity, joy and love every day. • Reiki helps us to release our emotions and to gain balance. • Reiki benefits the animals, plants and the entire planet! • Reiki is Love. It helps us to follow our path and to unite with the Infinite and Perfect Love, with Love Unconditional! With a Simple, Smooth, Natural Touch! The therapy or Reiki session is very pleasant and relaxing.